Tracking your expenses and saving on a weekly or monthly basis is really a good idea. Tracking money is beneficial to maintain good financial condition and to avoid unnecessary expenses. But it takes time and efforts to track every single spending manually. Also, sometimes we forgot about some of the expenses. If you are facing the same problem then no need to worry. There are some best money management apps that can help you to track your expenses successfully. Earlier money was all about cash and cheques but with the advent of apps such as Paytm, Freecharge, PhonePe etc it has now become more convenient to pay or receive. Similarly, there are apps which helps one to manage the expenditure monthly. Such apps keep a track of the money that you are spending. Isn’t it cool? You simply need a mobile phone with an internet connection. If you are looking for an expense and budget tool to manage your money, you are at the very right page. Here is the list of best Android and iOS apps for money management. With the help of these money manager apps, you can track your expenses successfully. So, what are you waiting for? Download the best money management app right now and start managing, tracking, and planning your budget, expenses and personal finances. 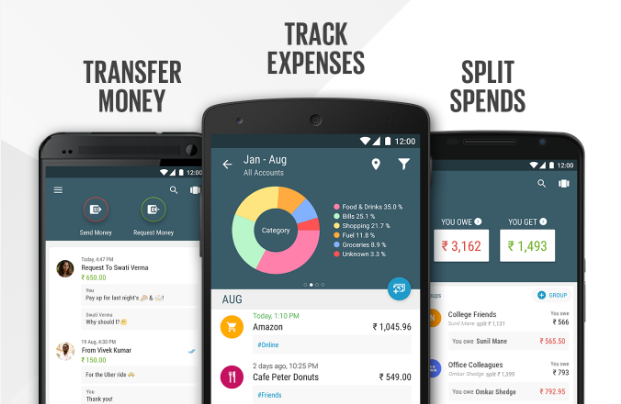 Here is the list of best money management apps to track your expenses successfully. Choose the one that fulfills your requirement. Walnut is one of the best money management app for both Android as well as iOS that takes control of your money and saving. It automatically and securely tracks your monthly spends & pay bills on time. You can enter manually or it automatically finds out your spends on categories such as food, travel, shopping, etc. This money manager app shows how your expense patterns have changed over time. The Walnut money management app keeps track of your monthly ATM withdrawals. 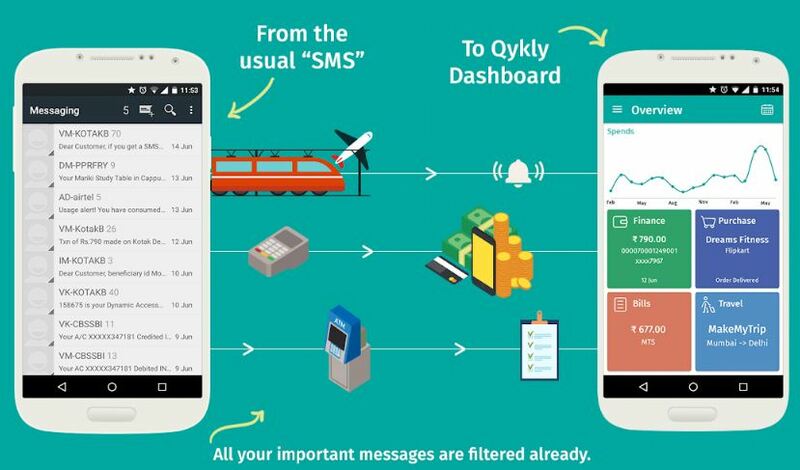 It also analyses your SMS inbox on phone and detects important information related to spends, bills, and tickets. The wallet also tracks credit card dues so that you have control over your expenses. 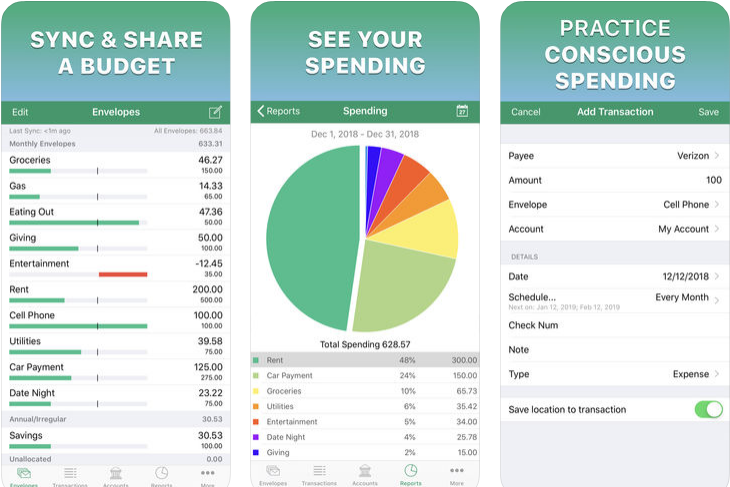 The Goodbudget app is like a personal finance manager which helps you stay on top of your bills and finances. It is one of the best income and expense tracking tool. This app automatically syncs across Android, iPhone, and the web. 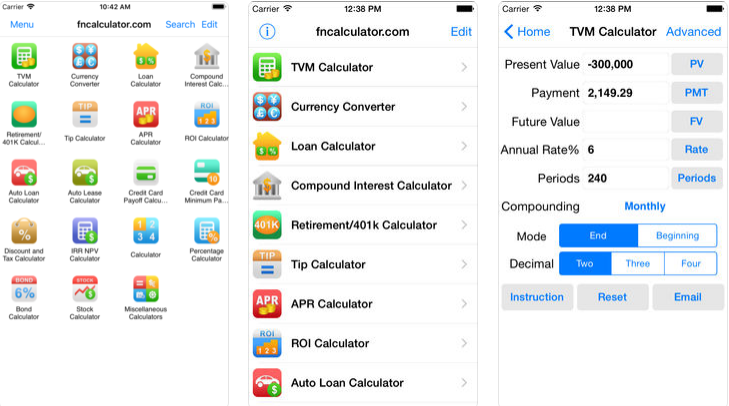 This is the money management app that calculates you Finance and Investment. You can calculate any kind of loan, tax, investments, retirement plan and more. You can send your calculation results to others via Email. Also, Financial Professionals can email the details to their clients. Money View money management app keeps you updated about your financial situation. It is only available for Android. It helps people to be more aware of their finances and to pro-actively do better with their money. With the help of this money manager, you can track your spends, view your bank account balance, get bill reminders & pay bills on time and grow money faster using Savings+ feature. This money management can also track PayTM transactions. The TaxSaver+ helps you to save tax. You can set the monthly budget & follow it. 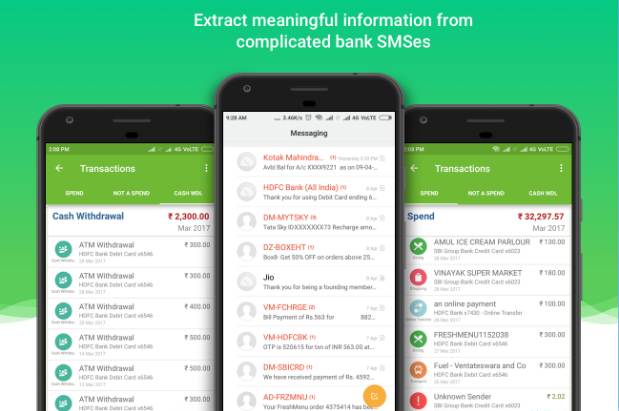 This Money Manager app for Android and iOS helps in financial planning, review, expense tracking and personal asset management. 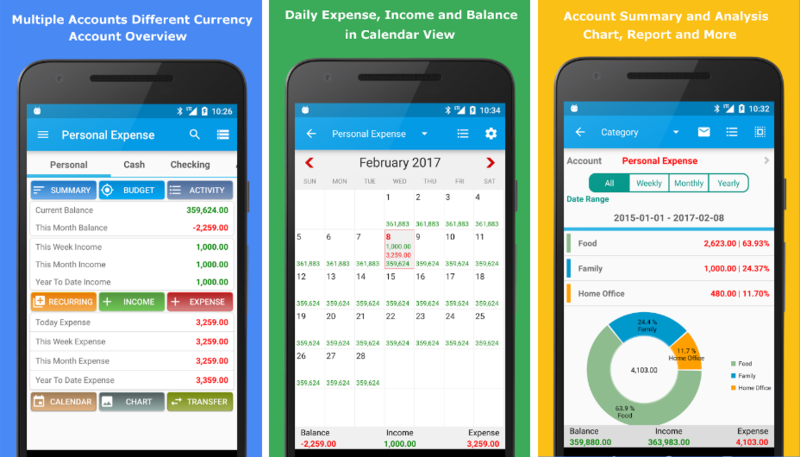 With the help of this android app, you can record your personal and business financial transactions, review your daily, weekly and monthly financial data and generate spending reports. You can manage your assets with Money Manager’s spending tracker and budget planner. Also Read, Best time management apps to boost your productivity. 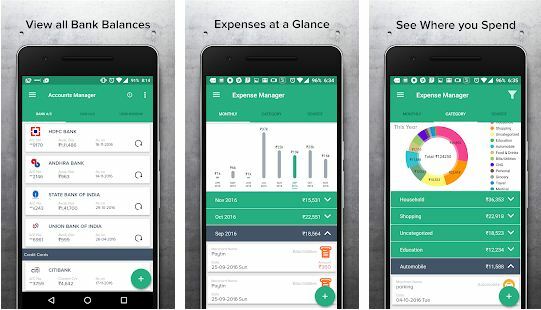 Money Manager app shows your budget and expenses data with the help of graph. You can see the amount of your expense against your budget quickly and make suitable financial inferences. You can easily input your frequent expenses all at once by bookmarking them. 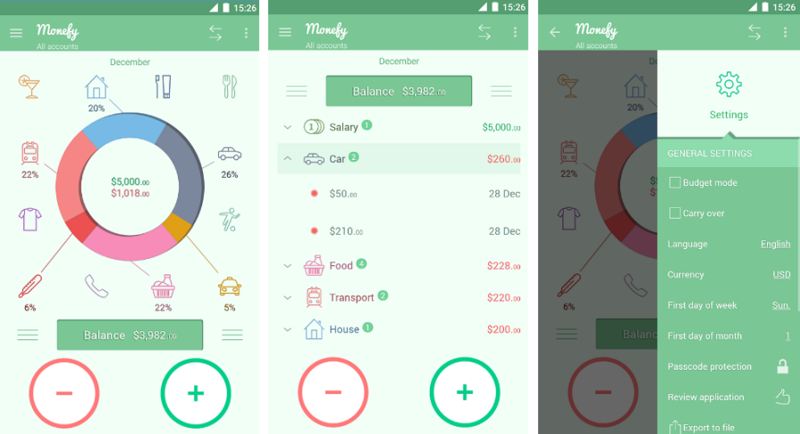 The Monefy money management app for Android and iOS is my personal favorite app for tracking and saving money. In this app, you have to just add new transactions when you are buying anything or taking a cab or spending on food. It is very simple to input data in this app as you just need to enter expense amount. You can safely synchronize data between your mobile, tablet or laptop using your own Dropbox account. You can track your spending distribution with the help of chart or graph. There is an option in this app to select your currency and language. This app is ads free. 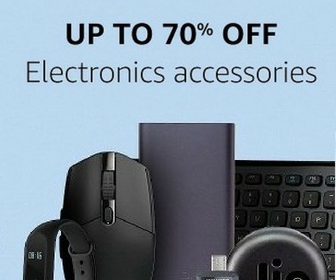 It organizes bills by week, month and year as well as by categories. You can schedule the payments and recurring payments The reports will be available in HTML, CSV, Excel, and PDF. 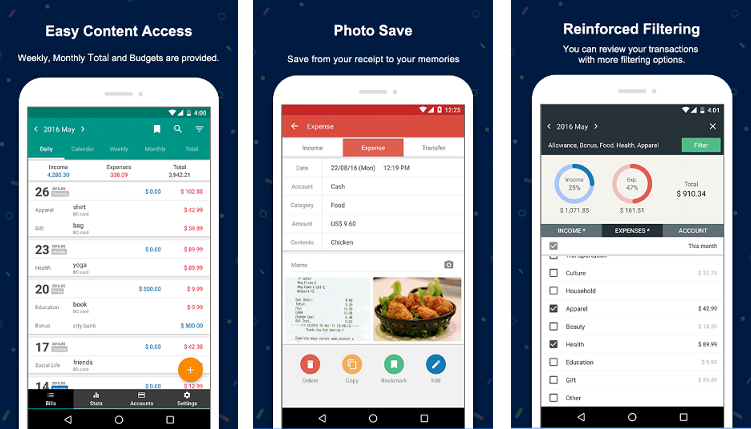 This money management app can take automatic backup on Dropbox, Google Drive, and SD Card. It collects all your financial information through SMS inbox detecting all expenses done through your debit and credit card and other expenses. Mtrakr automatically classifies all your expenses into various categories like entertainment, food, travel bills, bank transfer etc a feature which is currently not available in walnut where you manually need to categorize the bills. Also, this app gives suggestions on reducing expenses. Some other features are, document manager, setting budgets, payment reminders, tax calculators etc. Other interesting features involve uploading memos or receipts of small daily expenses and Mtrakr will automatically categorize and include it in the expenditure. This is interesting since many of the money management apps lack this feature. This app, backed by Times of India group organizes all parts of your money be it the expenses, investments, receipts, insurance, and offers. Recently they added a new feature i.e. a paperless investing solution which the users are loving since it is completely paperless which means it does not require verification for KYC, simply a 2-minute process. Also, they provide insurance option like health insurance, life, car etc. Other features are bill reminders, daily budget, manual and automatic detection of expenses. Tracking expenses and setting a monthly budget. These are the 8 best apps for money management to keep track on your finance. These apps are really helpful in tracking expenses and savings. 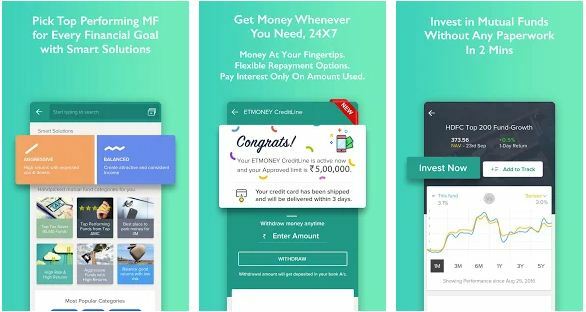 All the money management apps for Android and iOS that are mentioned above are highly secure as they don’t read any of your personal messages or any sensitive data like full bank account numbers, OTP and net banking passwords. Such apps work by reading the last four digits and hence fully credible and secure.